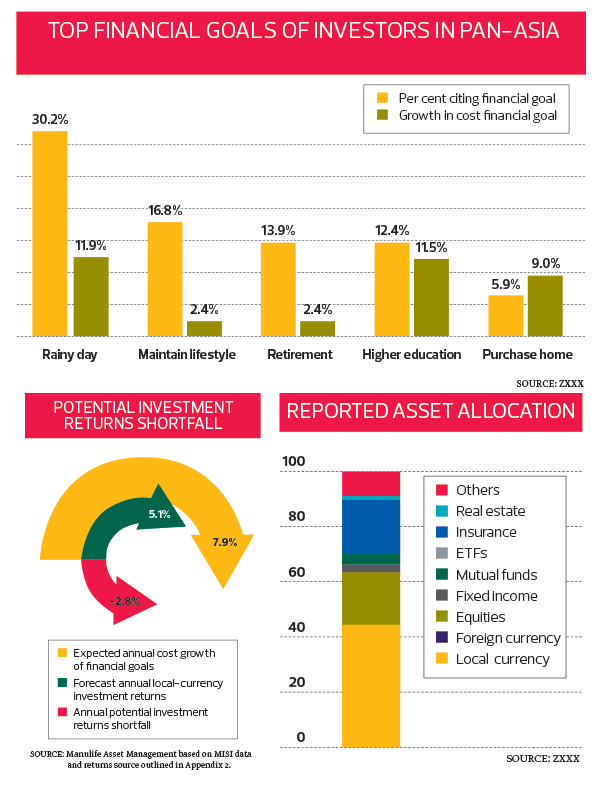 Malaysians who want to achieve their financial goals should not be holding on to so much cash, according to Manulife Asset Management’s latest Aging Asia report, titled One Step Forward, Half a Step Back: Meeting Financial Goals in Asia. It says that for every step forward taken in terms of savings, rising costs are pushing the average investor half a step back from their financial goals. And holding on to cash will not help. The report, released at end-June, says that on average, Malaysians tend to hold about 44% cash in the local currency — the third highest allocation in Asia after Indonesia and Japan. The high level of cash holdings is largely due to the dramatic increase in healthcare costs in Malaysia, it says. The report also shows that while the average annual GDP growth from 2009 to 2014 was 5.6%, out-of-pocket expenditure on healthcare clocked in at a whopping 11.9% per year. The rising cost of healthcare was further compounded by the implementation of the Goods and Services Tax on April 1. That is why retirement is no longer the primary financial goal of Malaysians, but rather saving for a rainy day, the Manulife report states. This is because it is anticipating healthcare costs to continue rising. Malaysians’ other main financial goals are maintaining their lifestyle, retirement, higher education and purchasing a home. In the rest of Asia ex-Japan, the gap is 330bps. “Costs are rising at 6%. But investment returns on financial assets stand at 2.7%,” he adds. 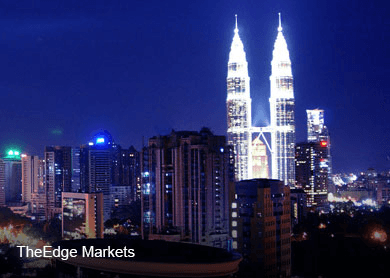 However, Dommermuth says, it is important for Malaysian investors to not just look at local investments but also consider global asset allocation and allow someone else to manage those funds. “If you can invest in both the domestic and global markets, you will have a better portfolio outcome. And we have found that when people manage their own asset allocations, they tend to let their emotions run them. Dommermuth observes similar scenarios and findings across Asia. Investors in the region are also moving further away from their financial objectives. “We find that investors across Asia are working hard, saving and investing to meet their financial goals, which range from preparing to fund retirement and their children’s education to meeting healthcare, living and housing expenses as they arise,” he says. While individuals across Asia increasingly take responsibility for the security of their own retirement income through investments, they have an entrenched preference for holding cash. “We noticed something funny between our US and Asian markets. In the US, the amount [of income] coming in from people’s wealth is very high at about 20%. But in Asia, the amount of income derived from wealth is a fraction of that. But it is not because Asians don’t have as much as the Americans do,” says Dommermuth. Asians are wealthy, but there is a divide when it comes to how much income their financial assets are generating. “Japanese, Koreans and Singaporeans have a financial asset-to-income ratio of about three times. Asian households have the highest savings rates in the world. Within the 10 Asian markets we operate in, household wealth amounts to US$20 trillion,” he says. Yet, their income is not meeting their financial goals because of how much cash is being held. “It is about 50% of asset allocation to cash, and that is just for those who invest,” Dommermuth says. According to a Bfinance market intelligence 2014 report, US investors tend to hold only 2% cash, favouring equities and fixed income assets instead. Bfinance is a UK-based financial services firm. Since cash is such a popular asset class in Asia, Dommermuth and his team decided to look into its returns. “We discovered that in all but two markets we operate in — Malaysia and Japan — cash generates negative returns,” he says. The team believes that this is very much a legacy issue. In the 1950s, the average fertility rate per female was five to seven live births, says Dommermuth. “But today, only two countries in Asia have a fertility rate of more than two [which is the population replacement rate] — Indonesia and the Philippines,” he points out. On top of that, the rising levels of urbanisation have affected retirement security adversely. “The young go to the cities to make money while the elderly get left behind. It completely breaks down the financial support model,” Dommermuth says. Gone are the days when there were multiple children to support their aged parents, seems to be the scenario he is painting. As it is, the amount of years individuals spend in financial deficit — a combination of the time they are financially dependent on their parents as children and after retirement — has increased as a whole. Today, retirement longevity is about 27 years, says Dommermuth. This article first appeared in Personal Wealth, The Edge Malaysia Weekly, on July 13 - 19, 2015.